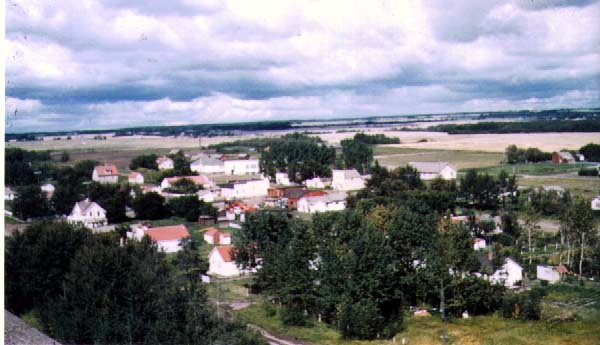 Kingman is located about 20 kilometers north of Camrose, in the County of Camrose. It was established in 1909 with the opening of a post office and many businesses soon followed. In 1910 the Grand Trunk Pacific Railway was completed through Kingman to Calgary ,and construction started on a depot. It looked as though Kingman would grow and prosper, during the 1920's trains ran daily except Sunday. By the mid 1930's there was only one passenger train a week and freight trains ran only when needed to haul grain. In the mid 1960's rail service between Kingman and Camrose was discontinued, the station moved, and the rails were lifted in 1978. It may be the only town in Alberta that still has a "Hitchin' post" in front of the post office. Raymond Peterson noticed a girl that came to town on her horse to get the mail, she had no where to tie the horse so he built it for her. Kingman has seen many businesses and families come and go, it is now a quiet little community with most of it's residents commuting to work in other centers. HARVEST OF MEMORIES VOL. 2. & Homecoming 2000 info. If you find any mistakes or have any suggestions as to what you would like to see on this page please let me know. I will make corrections or add information as quickly as possible. Peggy Marchand - Page co-ordinator.